Belted details are dominating the fashion world right now. 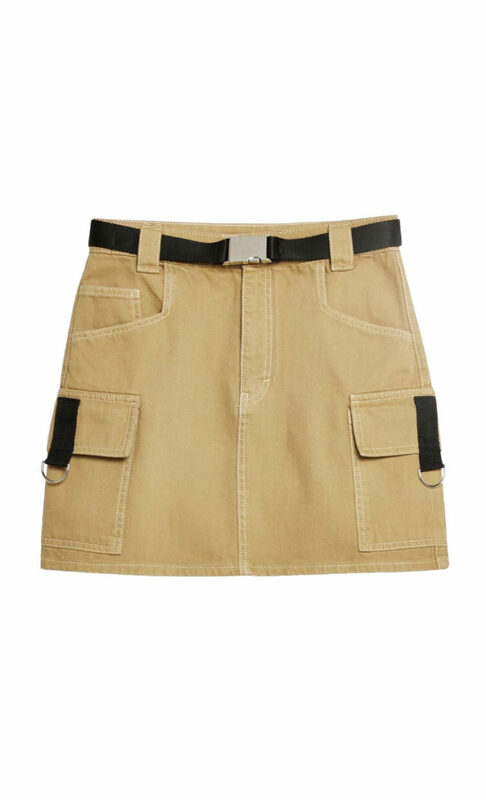 We are totally loving this tan clip buckle denim skirt, a nod to the utility trend. Add some chunky black boots for a stamp of cool.